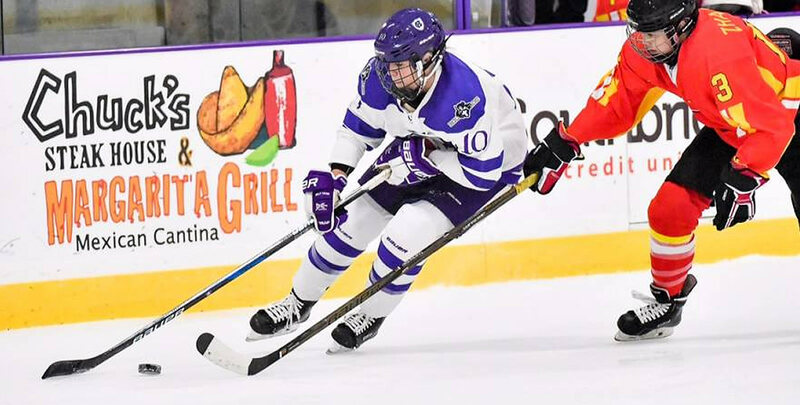 TROY, N.Y. - The Holy Cross women's ice hockey team tied RPI, 1-1, Saturday afternoon in New York. The Crusaders were outshot 22-13 in the first two periods, but turned up the heat after that and outshot the Engineers 18-7 in the third period and overtime. Senior Amanda Kewer scored the goal to tie things up with eight minutes remaining in the third period. Sophomores Katie MacCuaig and Victoria Young registered the assists. 1-0 RPI (2nd, 15:56, PP): The Engineers struck first on their third power play of the game off the stick of Blake Orosz with assists by Josefine Hansen and Sabrina Repaci. 1-1(3rd, 11:54, EV): Off an attempted line change for RPI, the Crusaders' Young intercepted a pass and sent it along to MacCuaig who found Kewer. Kewer sent a shot in on the goalie's right side that deflected off her and a defender and into the goal. The Crusaders owned the puck in the third period and overtime and created multiple chances to win it in the extra period, but RPI's defense stood just strong enough to keep the game tied. - Holy Cross outshot RPI, 31-29. - The Crusaders went 0-for-3 on power plays, while RPI went 1-for-3. - In goal, sophomore Julia Pelletier made 28 saves and RPI's Lovisa Selander made 30. - Both teams were called for three penalties. - The goal was the fifth of Kewer's career and first of the season. It was MacCuaig's fifth career assist and Young's 12th. Both were firsts on the year.